..to give you the tools, motivation, and the last kick in the b*tt to live your grandest life, aglow, strong, fabulous and absolutely fierce. You are a trailblazer and starting your mornings as one – with these 30 Raw Food Breakfasts – will let your life and body reflect that innate power. There are no rules on how to use the app. You can decide to have a full 30 Raw Breakfast monthly program, gather last minute inspiration in the supermarket or do a weekend detox/refuel. By being both detoxifying and delicately dessert-y, the recipes in 30 Raw Breakfasts will ignite your spark and overall health whichever way you use it. 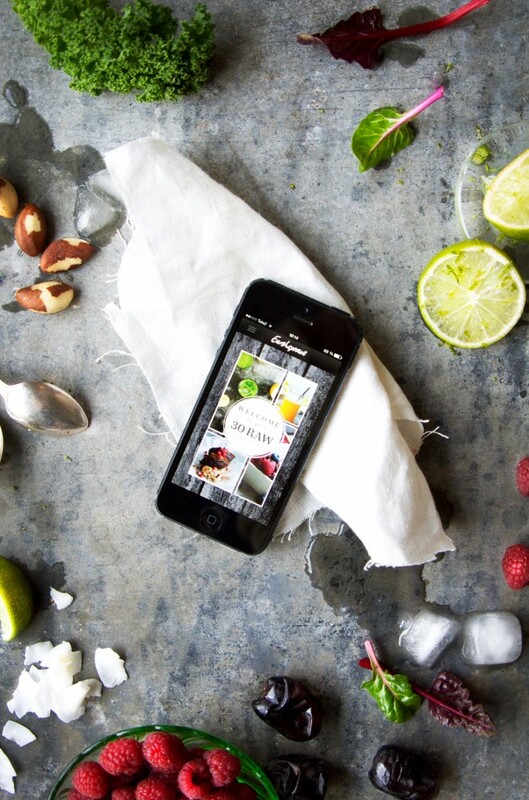 To make things even more easy and accesible you can share and get inspiration from the ever so awesome Earthsprout family via the #30RAW hashtag on Instagram and Twitter. So much to love! There really is only one question; How do you want to feel? You’re worth it all and I say it’s time for a 30 Raw boost. Ready? Can you say mixing, juicing, sprouting and blending? Raw Foods are simply vegetables, fruits, nuts, seeds, gluten-free grains and other plant-based foods not heated above 42 °C. This way they still contain all of their natural antioxidants, living enzymes, vitamins, minerals, protein, good fats and other things we need to thrive. 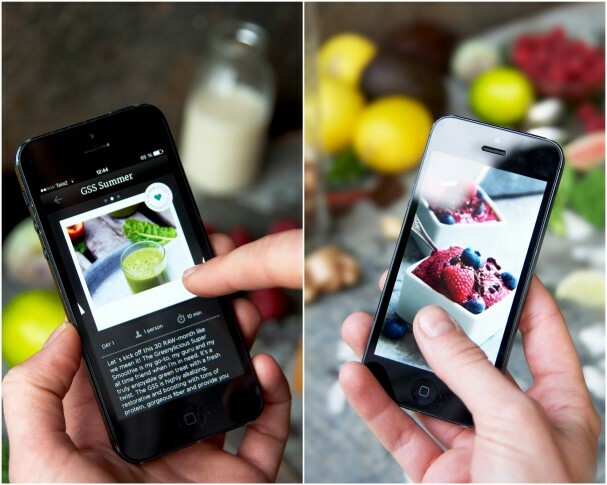 Note: the recipes in this app are really basic Raw Food recipes and require no dehydrator or fancy blenders. A sharp knife, an immersion blender and some healthy enthusiasm will take you all the way. 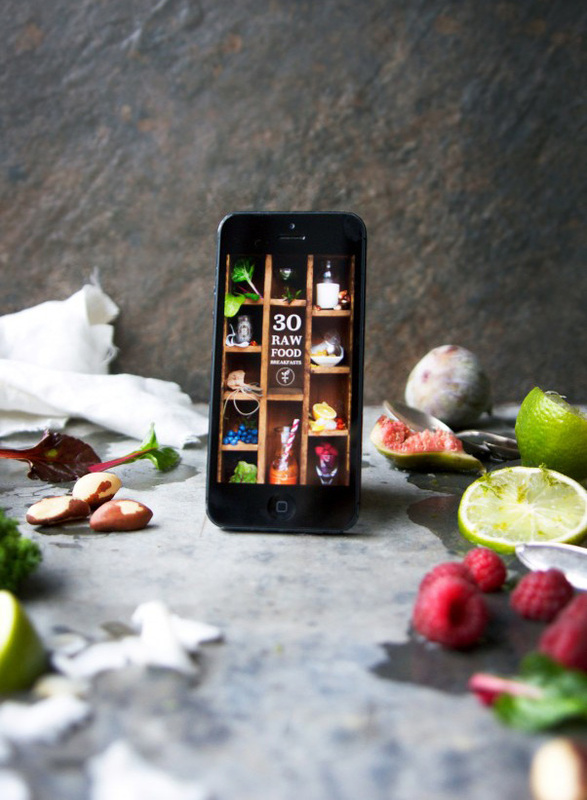 The 30 RAW app is for you and for this sensational planet that holds us so lovingly. We really are changing the world one bite at a time. One meal – one buzzing, delicious, delicate, detoxifying, silly and hope-giving breakfast.